A man killed his wife by strangling her with the cord from her hair straighteners after she decided to leave him. 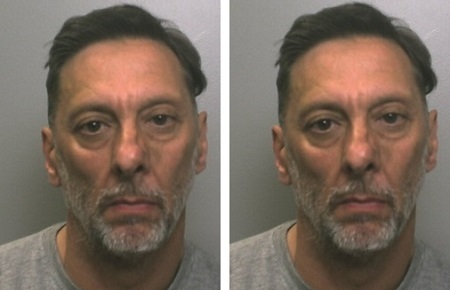 Christopher Jeffery, 51, has been jailed for life after murdering Sarah Jeffery, 48, at their home in Baddeley Green, Stoke-on-Trent, on June 8. She had returned to collect her belongings from the property but was attacked while she was in the bedroom. Mrs Jeffery, who had been married to her husband for 14 years, was killed while her dad was stood outside waiting for her to come out. Jeffery, who has a son in his 20s with his dead wife, had initially denied killing her but suddenly changed his stance today and pleaded guilty at Birmingham Crown Court. He had phoned his mum just after he strangled his wife to confess what he had done. Judge Michael Chambers QC, sentencing, said: ‘Sarah Jeffery was 48 at the time with her life before her. ‘This was an appalling act.’He also called the murder ‘vengeful’. An 82-year-old resident, who had been living on the street where Mrs Jeffery was killed for over 60 years, added: ‘Goodness me it was a shock. ‘There was a police cordon up and cars lining the street. I’d never seen anything like it at all. Jeffery was sentenced to life and will serve a minimum of 11 years and 67 days behind bars . He has already completed 174 days in custody. Detective Inspector Victorian Downing, of Staffordshire Police, said: ‘This was a violent crime which resulted in a life being cut short in dreadful circumstances.